BUKIT BATOK, SINGAPORE, October 26, 2018 /EINPresswire.com/ -- While the internet serves as a highly useful resource, there are several drawbacks it brings along. Cyber threats in the form of malicious software like viruses, trojans, rootkits, ransomware and what not are causing damage in several ways. REVE Antivirus, which is a leading antivirus software provider, highlights the importance of investing in cyber security solutions for companies of all sizes. According to the REVE Antivirus CEO, Mr. Sanjit Chatterjee, “From slowing down computer systems to destroying data, the consequences of a cyber attack can be as dangerous as shutting down of a business. 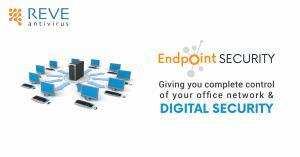 The need of the hour for organisations, whether big or small, is to invest in reliable endpoint security solutions. REVE Endpoint Security provides organizations with the most comprehensive endpoint protection. It safeguards the organization’s data by monitoring and controlling both external and internal threats. It also helps in optimizing the employee productivity by monitoring their browsing activities. 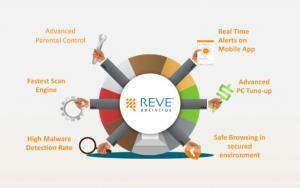 REVE Antivirus is the next generation security products provider. REVE Systems (S) PTE. Ltd is registered as REVE Systems India Pvt. Ltd., a vertical of REVE group. REVE Antivirus launched the beta version of its software in July 2016, with penetration in 4 countries (India, Bangladesh, Nepal & some parts of Africa). 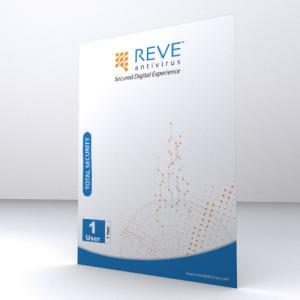 REVE Antivirus security portfolio includes specialized security solutions and services to fight sophisticated and evolving digital threats with Antivirus, Internet Security, and Total Security products. The company is providers of Total Security for Windows Server, Antivirus for Linux and Antivirus for Mac. In the mobile security segment, REVE Antivirus offers Android Mobile Security product. The highlighting features of PC antivirus include-Anti-rootkit, Anti-Malware, Anti-Phishing, USB Scanner, Parental Control, Data Backup, Safe Browsing, PC Tune up etc. The Android Mobile Security is powered by features like App Lock, Anti-Theft, Virus Scanner etc.